This website is dedicated to the works of Rev. 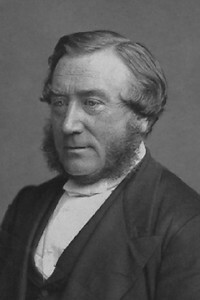 John Kennedy, D.D., who was minister of the Free Church of Scotland in Dingwall (in the Scottish Highlands) from 1843 until his death in 1884. Prefaces — to the Fourth, First and Second Edition. Chapter 1 — The Gospel in Ross-shire. The Year of Grace — State of the Highlands before the Reformation — The First Labourers — State of Ross-shire before 1660, and thereafter, till the Revolution — The Best Days of Ross-shire — Highland Clearances. Chapter 2 — The Ministers of Ross-shire. The Various Classes of Ministers — Eminence in the Ministry — How attained Character of the Eminent Ministers — Mr Hogg — Mr M'Killigan — Mr Fraser — Mr Porteous — Mr M'Phail — Mr Calder — Mr Lachlan Mackenzie — Mr Macadam — Dr Macintosh — Mr Forbes — Dr Macdonald. Chapter 3 — "The Men" of Ross-shire. Origin of their Designation — Misrepresentations, and their Authors — Order and Body of "The Men" — Their Peculiarity — The Fellowship Meeting — Objections Answered — The Character of "The Men" — Specimens — John Munro, the Caird of Kiltearn — Alister Og, the Edderton Weaver — Hugh Boss of Kilmuir — Hugh Boss [Buie] — Donald Mitchell — John Clark — Rory Phadrig. Chapter 4 — The Religion of Ross-shire. Fruits of the Gospel in the days of the Fathers — A Ross-shire Congregation — A Ross-shire Sabbath — A Ross-shire Communion Season — Radical Peculiarity of the Religion of Ross-shire — Objections considered — Gloominess — Exclusiveness — Closetism — Influence of "the Men" — Paucity of Communicants. Prefatory Note — The Minister of Killearnan. His Birthplace — His Father — Anecdotes of His Boyhood — His Education — College Days License — His sermon in Applecross — His labours in Lochbroom — Anecdote. Appointed Missionary at Eriboll — First Appearance — First Sermon — State of Religion in the District — Preaching Stations — Major Mackay — Mr. Mackay Hope — Donald M Pherson — Robert M'Leod — Mrs. Mackay — Communion at Kinlochbervie — Translation to Assynt — Success — Trial — Marriage. Killearnan — The State of the Parish before 1813 — Mr Kennedy's Induction — His Father's Death — Anecdotes — The Old Church — Mr. K's Usual Services — His Domestic Life — His Elders — His First Diet of Catechising — The Conversion of the Champion of Prelacy — The Pensioners, Alexander M'Donald and Alexander M'Leod — Old M'Farquhar — Colin of the Peats — Sandy Dallas — David Munro — The Cutterman — Mary M'Rae. Hearers from Surrounding Parishes — Jane Bain — The Munlochy Meetings — Anecdote — John Gilmour — Blind Nelly — The Farmer's Wife — The Papist — The Kiltarlity Merchant — The Double Marriage — The Penny Smith — Little Hector — A Communion Season — Assistants — The Friday Speakers — His last days and death. Appendix — The Fear of the Lord, and the Secret of the Lord. — A Sermon.